I can be in Sarasota to start my planning trip in the gulf, early on Wednesday, November 18th. I will then work my way west and will plan on being at Southern YC on Saturday then to Houston on Sunday. Here is what I am hoping for if you can email your membership. 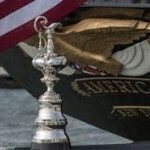 “The yacht America will be coming to the gulf states in 2016 as she continues the first ever America’s Cup Tour which visited 34 yacht clubs on the west coast last summer. America wants to visit as many GYA member clubs as possible. 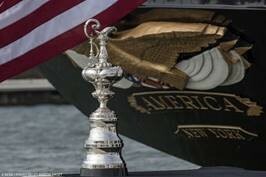 Troy Sears, owner and captain of America, will be conducting an advanced planning, scheduling and logistics trip at each club interested in hosting the yacht America starting in Sarasota on the morning of Wednesday, November 18th. Troy will then drive westward and hopes to visit each club on his way to Houston where he expects to be on Sunday, November 22nd. 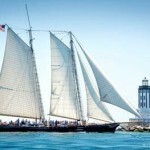 • And, of course, a sailing aboard America for those who want enjoy a great on-the-water experience. Those who wish to go sailing pay $75 per adult/$45 per child. 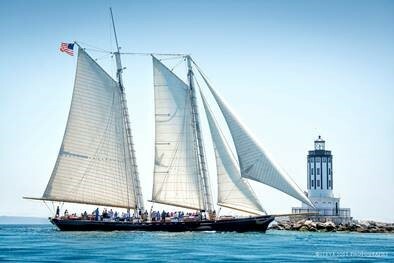 • America is 138’ LOA, 25’ beam, 105’ mast height and 10.5’ draft. If direct access to your club is not possible, then Troy’s is ok with your suggested location for your area. 4051 E Desert Crest Dr. It was our pleasure to host you and Vice Commodore Cathy Cromartie at the Viper 640 2015 North American Championship regatta . During your visit to Larchmont Yacht Club, you were able to meet a great number of Viper sailors and had the opportunity to discuss the Viper as a racing platform, as a class association, and as the future Capdevielle boat for the Gulf Yachting Association. Subsequent to your visit you forwarded us some questions that had come up from GYA members. The following letter addresses those questions. The letter was drafted and reviewed by the Viper 640 Class Association’s Executive Committee and the Chairman of the Class Technical Committee with input from Dan Tucker from Rondar Raceboats, and signed by me as the Viper 640 Class Administrator. It is our expectation that this information answers the questions from your members regarding the Viper. The two common sense exceptions are: 1) when a boat is damaged, the repair may be faired into the area immediately surrounding the repair, and 2) if a hull or foil has a substantial imperfection then an owner can apply to the Technical Committee (TC) for permission to repair the imperfection. Please note that we have a very strict and fair process to supervise any application of these exceptions. In the case of fairing a significant imperfection, the TC inspects the boat before and after the repair. In the case of any fairing of the keel, the keel post-fairing must fit within a very narrow tolerance as measured by a set of precise class-owned templates. The Rondar keels are built to this same shape. The keels that have been faired may be subject to measurement at any events to ensure compliance with this rule. You were at our recent North American Championships and can speak with some authority on how we ensure compliance with our rules. Each boat was inspected for signs of fairing and the owner was asked if the keel had ever been faired. If the keel had any fairing work done on it, the keel was carefully measured by the TC using the Class templates. Our Class measurement process is amicable but it is also strict and fair. Of the 53 boats at the North Americans, only four boats have ever had any keel fairing done. All four had obtained the necessary permission from the TC. All four keels were re-measured prior to the event and it was confirmed that they continue to conform with Class specifications. In addition we randomly checked some other keels. A level playing field and an affordable playing field are the essential foundations of the Viper 640 Class ethos and we go to great lengths to ensure this. We refer you to our Fundamental Rules in section 1 of the Class Rules (Appendix 1). In particular, rule 1.1 “The Viper 640 is a strict one-design keelboat where the true test, when raced, is between helmspersons and crews, and not boats and equipment.” We wrote this rule at the outset and we believe in it passionately. It affects every decision that the Class Association makes. The Viper 640 Class has decided on a “single class builder” model. Rondar builds every Viper. We did this because we know that when a class has more than one builder, they will find ways to compete against each other by developing small “hard to detect” differences. The Viper has had one single builder since it was relaunched in 2007 which we believe is a good thing. The GYA clubs will be buying their new boats directly from a single builder which will be directly responsible to the GYA clubs for supplying identical one design boats and directly accountable for the quality and warranty of each and every boat supplied. The Class controls and inspects the specifications of the Viper. The Class retained renowned naval architect Jim Taylor to assist us with the independent inspection process to ensure that the molds and the build process produce identical boats. We are one of a small number of classes empowered with this level of control and due diligence. Jim Taylor supervised a very detailed laser scan of the hulls and foils of a sample of Vipers which provided us an exact digital 3D shape of the boat. This enables us to ensure that future generations of molds produce identical Vipers. Furthermore, if the Class molds were ever accidentally destroyed, a precise replica mold of the Viper easily could be produced. We are pleased to report that the hulls of a sample of Vipers built over the course of production from current and previous molds meet exacting standards of precise one design and we are happy to share Jim’s reports with you. We have a partnership relationship with our builder based on transparency and trust. Rondar was present when hulls were scanned and attended the meeting when Jim presented his conclusions. Everyone is motivated and aligned in the pursuit of strict one design. Jim Taylor was paid by the Class Association. The builder is appointed by the Class Association. This is the strongest fiduciary structure to ensure strict one design. Boat #54 was built 17 years ago. It finished third at the Pan American Championships in March of 2015. It had four finishes in the top ten at the 2015 NAs. Boat #85, an 8 year old, first generation Rondar boat, was chartered for the event by three amateur youth sailors from Rhode Island. They had the most consistent results in the regatta with the lowest throw out, five top ten finishes and ended a very respectable eighth overall. The three newest boats at the regatta, less than one year old, finished 1st, 12th and 44th. The only factual conclusion one can reach is that Vipers of different ages are equally competitive and older Vipers remain very competitive for a very long time. With regard to the specific attribute of longevity, Vipers are very durable and ruggedly strong. Yes, there is an after-market keel box installation for older boats. It is inexpensive and relatively straightforward to install. The after-market system has zero impact on boat performance. It is designed to make the boat easier to maintain. In 2014, Rondar came up with an elegant solution to address the wear and tear issue of lifting keels which are secured by their leading and trailing edges. The prior system worked but (a) a tight fit on the keel required careful fitting and maintenance and (b) the leading and trailing edges are the most fragile parts of the keel and (c) a tight fit can cause wear on leading and trailing edges. The Class Association approved Rondar’s new wedge system with tapered wedges installed on either side of the keel. The wedge system presents the keel identically to the water as previous systems and has no impact on boat performance. However it does reduce maintenance wear and tear and it makes the boat easier to launch. The Class supports innovation that has no impact on performance but makes the boat easier to use. All new boats include the wedge system. The TC supports a couple after-market keel box solutions for existing boats that are entirely optional and can provide guidance to Class members contemplating work. The only other keel box modification is for the older Bennett boats where the keel box was a two part component with thin overlapping walls that was very prone to serious leaks. There is an aftermarket fix for this problem. Rondar keel boxes are a single component and do not leak. Rondar builds keels to an exact specification based on the Class template. Rondar can provide a precise description of the construction process which includes a high tech epoxy foam core that does not deform at different temperatures. The keels have proven to have very long lives. When Jim Taylor performed the laser scan described above, we discovered that the original keel molds used to build the Bennett boats keels and earliest Rondar boats had a slight imperfection on the port side in the shape of a small bulge and a small hollow on the starboard side detected by the laser scan. Rondar built new keel molds and the Class gave Rondar permission to remove these small flaws. The Class amended rule 3.4 (see below) to allow this imperfection to be faired on existing keels. The keel must be measured by the Class Technical Committee if this repair is made. All new keels must conform to Class templates, are checked at the factory, and do not have these small flaws. A batch of Rondar keels used faulty foam which did not fully cure. As the foam continued to cure, the keels expanded. This was quickly discovered and the keels were promptly replaced or re-faired. We believe that these are examples of the Class measurement process in action. Composite keels can be more expensive to build than aluminum foils but they will have a longer life expectancy and will not pit and corrode in warm salt water conditions. The early Bennet built boats did not have a proper binding layer between the epoxy hull and the polyester gelcoat which caused some parts of the gelcoats to peel away after 5-7 or so years. This only applies to hull numbers under approximately 45. As far as we know, all of these gelcoat problems have been repaired on these boats and they are still sailing. There has not been a single Rondar boat that experienced this problem. The Viper Class Rules are of the highest standard. The Viper Class rules have been applauded for combining simplicity, preciseness, and enforceability. 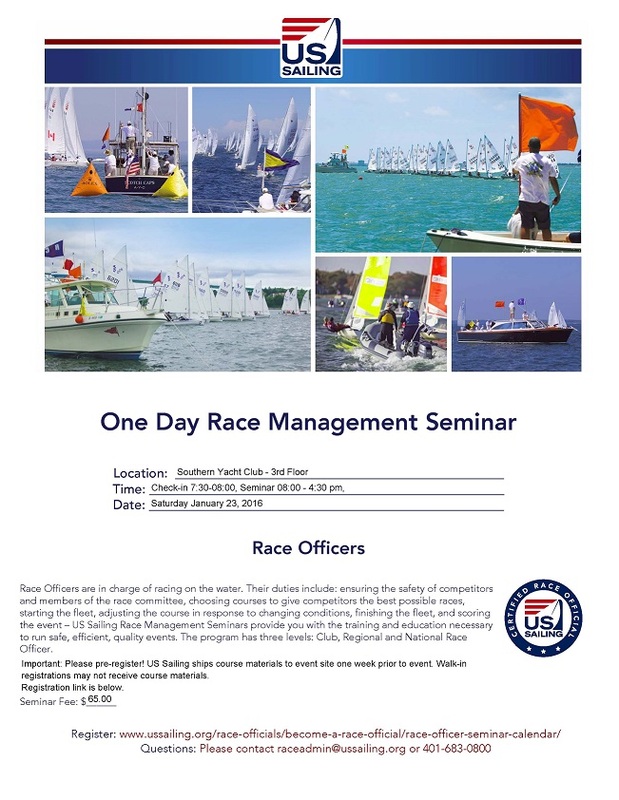 Our unique solution to the issue of professional sailors’ participation has been widely admired. For what it is worth, members of the Class Executive have served as US Sailing One-Design Council members, including Chairperson of the One-Design Committee, and representing US One-Design sailing interests at ISAF rules committee meetings. Our builder has been an approved ISAF builder in several classes. We are confident that we are not only knowledgeable about best practice current measurement rules but also future trends. Furthermore, the GYA’s New Boat Selection Committee charged a sub-committee, led by Bob Hodges, with reviewing Class Rules. We believe that the GYA has the report that concluded that the Viper 640 Class Association Rules meet the GYA’s requirements. Viper cockpits do not fill with water in either light or heavy air. We have many combined years’ experience in our own boats and can reassure you that our cockpits have never filled with water. One of the joys of Viper sailing is that the cockpit is self- draining. The only explanation we can think of for someone making this comment is that the Viper has an open transom so that any water drains readily out of the boat. A big wave from astern (e.g.. power boat wash) when the boat is moving very slowly or hove to and the crew weight is max forward can cause a couple of inches of water to wash in the boat but it usually immediately washes out again and if a remnant remains the crew can briefly shift some of their weight aft in the boat and it will flow out, no differently than briefly easing jib sheets for power boat chop. Frankly, this was not a serious comment. This comment is entirely unfounded. See above under Longevity. The three newest boats came in 1st, 12th, and 44th. It is the sailor…not the equipment…that determines results at Viper regattas. George, we trust this insight on the Viper 640 will be useful to you and other GYA clubs. As the roll-out of the Viper through the GYA progresses, please feel free to ask any other questions of the Viper Class, Rondar, or the actual boat owners. We promise you honest and factual answers outlining both pros and cons of the Viper. Again, the relevant rules about fairing are below. All Viper 640s shall be produced by Class Association appointed builders, shall comply with Class Association (Class) approved construction plans and specifications and shall be identical in every respect except where the class rules specifically allow for differences. No changes to the boat supplied by the builder are allowed unless they are specifically permitted by the class rules. A Viper 640 shall be raced only with foils supplied by a Class appointed builder. 1.6 No addition or alteration may be made to the hull form, construction, equipment, type of equipment, fittings, type of fittings, standing rigging, running rigging, spars and foils as supplied by the builder except when such an alteration or change is specifically authorized by these rules. 2.1.1 The keel shall be made only from Class approved molds and shall only be supplied by a Class approved builder. 3.1. The hull and foils including the rudder, keel foil and keel bulb, may not be faired or refinished with the intention or effect of lightening the hull, removing hull imperfections, improving the shape or otherwise improving the performance of the hull and foils, with the exception of keel foil fairing as allowed in 3.4. Waxing, polishing and sanding of the hull and foils is permitted, provided the intention and effect is to polish the hull and foils only. 3.2 Where a foil or the hull needs to be repaired, the repair may be faired into the area immediately surrounding the repair. Where a repair is extensive and where for example a substantial portion of a foil has been faired as a result of repair, the hull or rudder foil shall be the same shape and finish as originally supplied by the builder. However, if a keel foil is extensively repaired, the fairing shall be performed per 3.4. 3.3 If a hull, keel bulb or rudder foil has a substantial imperfection that impedes the competitive performance of the boat relative to the average boat produced by the class builder/builders, the owner may apply to the Technical Committee to approve limited fairing to correct that imperfection. If the Technical Committee grants approval for fairing to correct an imperfection, the boat shall be inspected both prior to and after the fairing to ensure that the fairing is limited to that necessary to correct the imperfection and that the fairing results in the same shape and finish as an average boat supplied by the builder. The owner shall be responsible for conveying the boat to a suitable location for inspection. 3.4 The keel foil may be faired after September 30, 2012, subject to the following: The keel foil may be faired only to match the Class provided Viper 640 keel template and over the section from 50 mm above the top of the keel bulb to 25 mm below where the keel exits the hull when in the lowered position, must: a) meet that shape within plus 2 mm or minus 1 mm as measured on each side of the keel foil; b) the distance from the keel’s leading edge to its trailing edge measured perpendicular to the leading edge and parallel to its centerline shall be between 350 mm and 359 mm; and c) the keel foil trailing edge minimum thickness is 3 mm. The faired keel foil may be subject to inspection at any time after fairing for compliance with these tolerances and dimensions.